The Frozen in Time Festival comes every December to Collingwood! 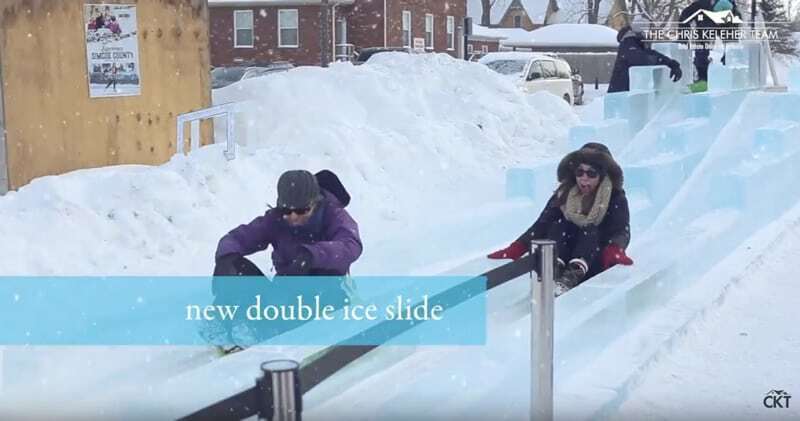 New in 2017, was a unique giant double ice slide that evoked thrills and laughter for the young and old alike! All of this surrounded by great places to eat, buy some hot drinks and get creative at an indoor arts & crafts station. The Frozen in Time Festival is another great reason to visit Collingwood during the holidays!